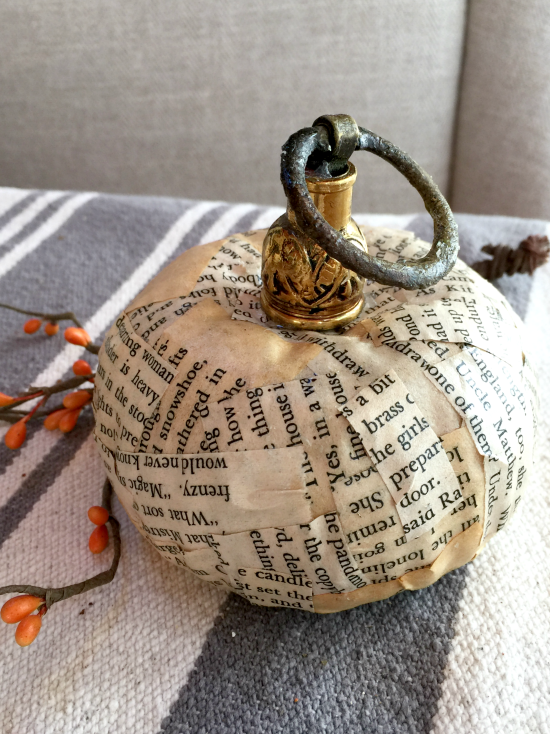 My idea for this project began with a few less than spectacular dollar store pumpkins. My first thought was to just add vintage hardware parts and create stems on these beauties... but no. 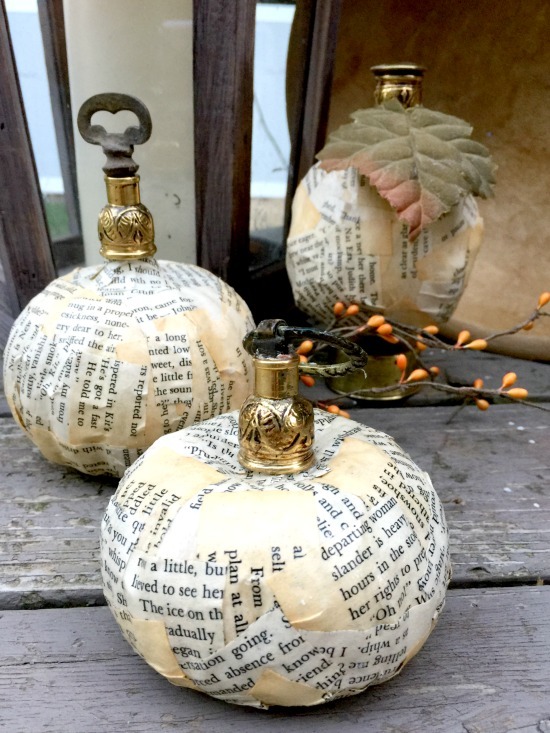 I decided to cut up an old book and decoupage small pieces of yellowed book pages to the pumpkins. 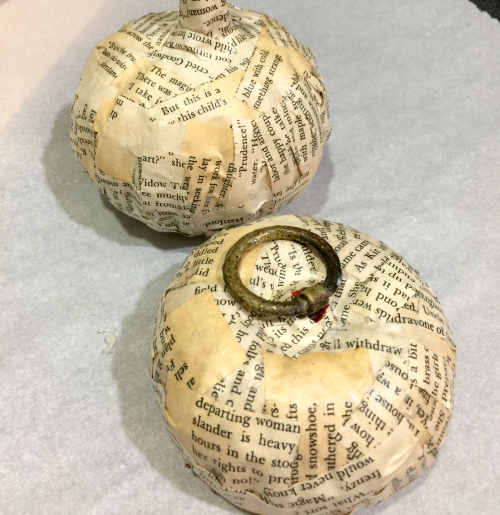 While I liked the decoupaged pumpkins so much better, the stems were still not right. 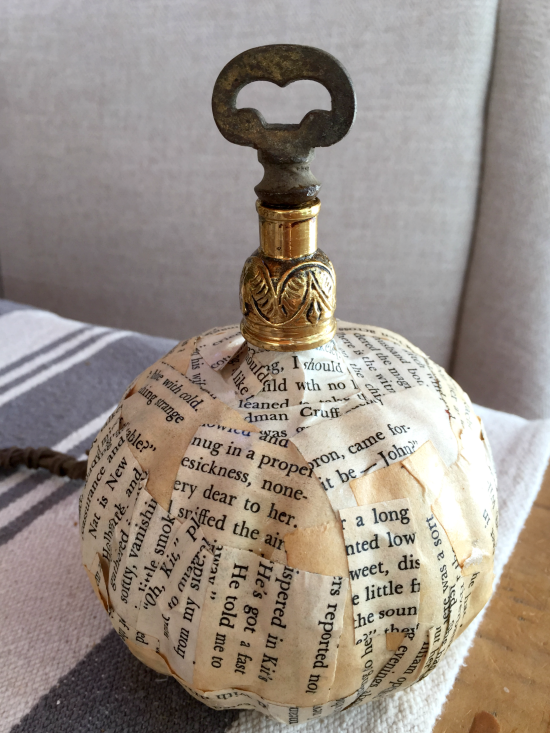 I dug deep into my stash of metal lamp parts and came up with pieces that did the trick. These stems were perfect. 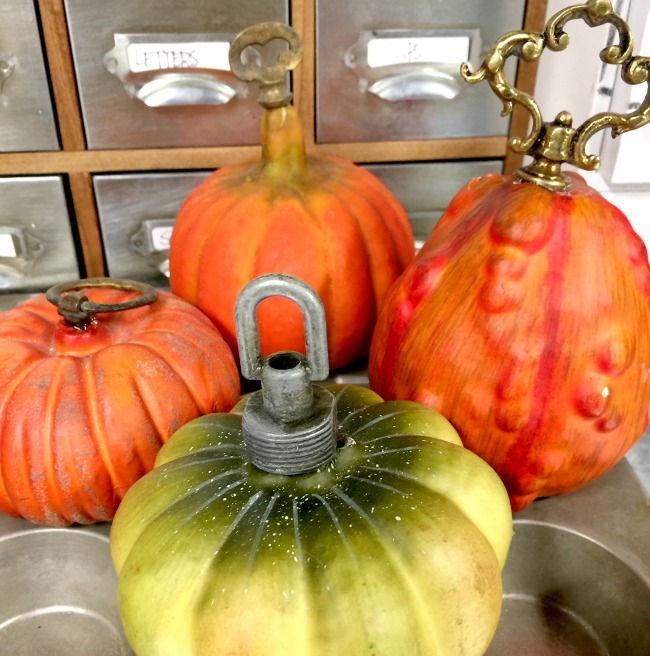 I used E6000 to glue the metal pieces to the pumpkins for a funky vintage metal stem. I'd say they've come a long way from those dollar store pumpkins! 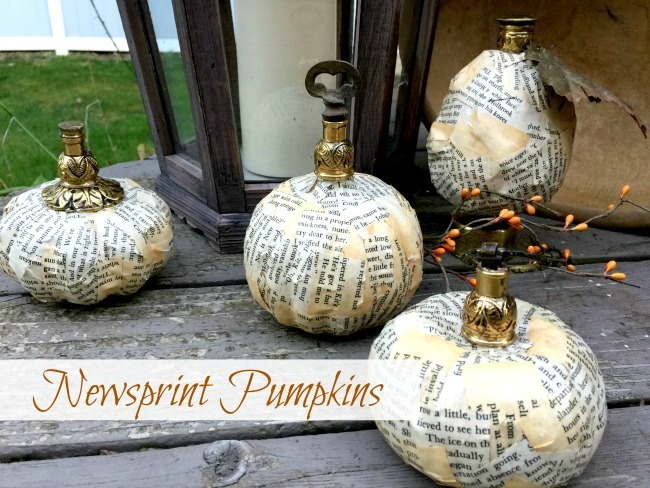 These newsprint pumpkins are headed to Backstreet Antiques to join the rest of my Homeroad repurposed Fall decorations. 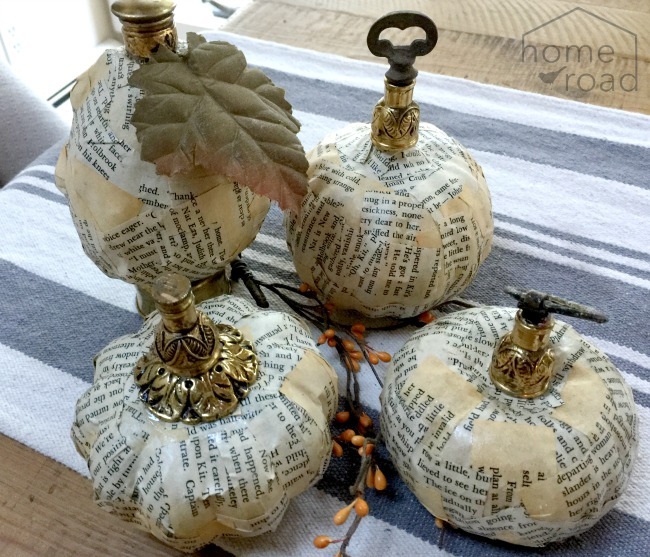 I have done this but used an old hymnal to completely cover the Dollar Store pumpkins! The one I finished is so cute...now to get the second one done! 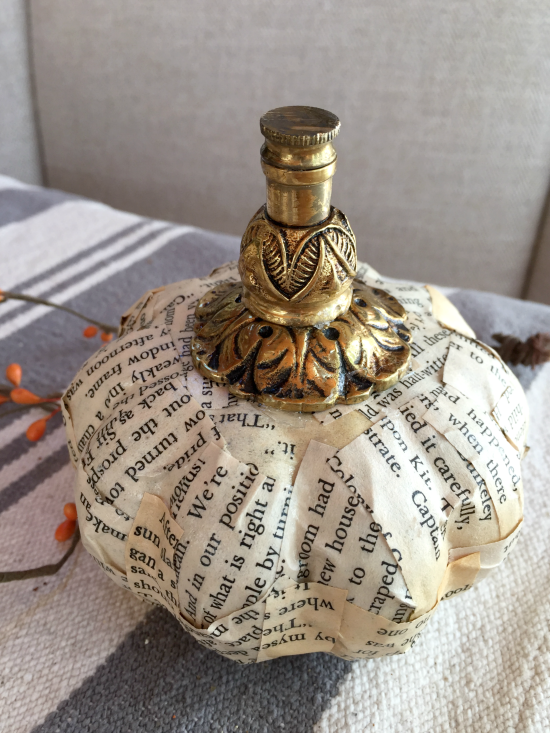 I use it in the Fall for my indoor decorating. I like your stem idea using what you have on hand.